I love this perspective that I channelled recently on manifesting and creating your desired life. What was being explained to me is the difference between creating with passion as opposed to creating by pushing and trying to make things happen. I was also given a way of explaining how to change your perspective from limited thinking to infinite possibilities. I personally like to keep things simple. I believe that we all know how to create our desired life in an easy and simple way, we have just forgotten. I look to ways to keep it simple to connect to our guidance. And truly we are all unique individuals so it only makes sense to me that we each have our own way. For example, I don’t believe there are any set ways to meditate and make a connection to the Higher Parts of ourselves, to our guides and angels. It was the belief that I once held of: You have to have NO THOUGHT in order to meditate, that would have totally prevented me to arrive where I am today. If I held on to that belief I would never have arrived at this place where I now channel energy beings and channeling healing to my clients. There’s no way I would have arrived at this place if not for allowing myself to find my own way. I was very lucky to have teachers who assisted me in trusting in my inner knowing and I plan to help the masses understand this as well. And this is why there are so many teachers and healers in the world sharing messages of empowerment. It’s a great example of abundance and infinite possibilities. And it is perfect since there is no ONE WAY. There is only YOUR WAY, and when you trust this you will be guided to the perfect teachers, healers, and guides for you. Raise the vibration of the planet by raising the vibration of those who live there. Your world has spent too much time struggling, spending so much time working hard to make things work. That is the energy that prevents things from flowing easily. And yes there is a difference between working hard with passion as opposed to working hard with pushing. That is the difference, passion vs. pushing. To find that passion you only need to look at what brings you joy. And we understand this is difficult when your experience is pulling you away from joy. That is the actual work here. It is to focus on those things that bring excitement into your life that lift you up. That have that constant chatter in your mind quiet. It’s like being in awe standing on top of a mountain and look out over the horizon and seeing the vastness of that. And in looking at that you feel that power that is so much bigger than your physical body and immediate surroundings and day to day activities. So when you can get this higher view point and be able to look out past your limited view or as far as you can see when you are in your day to day walking around. You can only see so far, there are things in the way, obstacles in the way that prevent you from seeing further. Yet when you are standing on the top of the mountain there is nothing obstructing your view and you can see into infinity. Passion when connected to purpose is what will drive you on your journey through life. There is more to the message which I explain on the video. 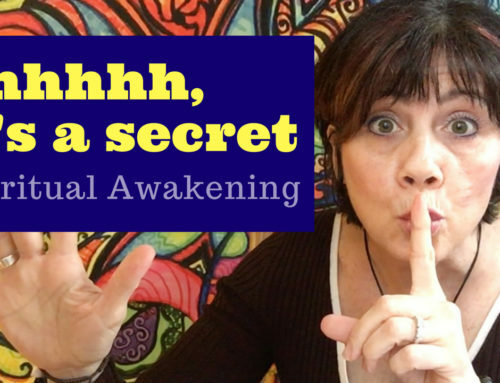 So please watch the video as I give you an easy way to quiet your mind so to tap into the infinite possibilities. That’s where you can find direction on your journey to discovering and implementing your life purpose. And guidance to creating love and joy in your life. And if nothing else you can use the technique to de-stress and feel peace and infuse your body’s cells with that amazing energy. I would love to hear your thoughts on living with passion vs. pushing. And I would love the opportunity to answer any questions that come up for you. Just leave a comment below. If you need assistance with understanding and implementing the things I spoke about here I advise you set up a session with me. You will be amazed at how good you feel when you clear beliefs and release energy that is blocking you in your life. It is very freeing and very expanding.